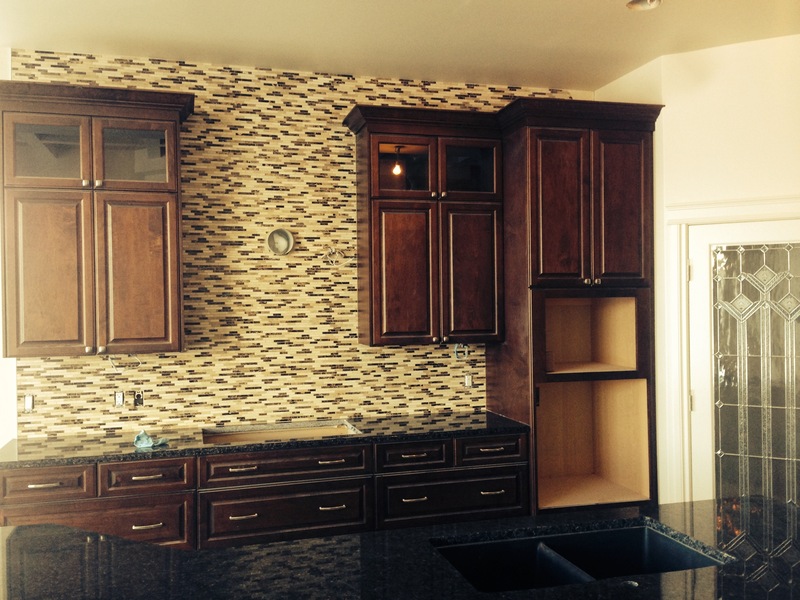 Take a look at one of our kitchen installations that is almost finished! Stunning marble tile from counter to ceiling is a striking feature against rich cabinetry and a polished black granite! Previous Post New Year, New Colour! Next Post Typography Hits The Style Mark!